I've been running Windows 8 as a secondary OS for some time now and I've decided that I don't like it. I feel it offers very little improvement over Windows 7 and several new features that will frustrate many users. But Microsoft announced the different versions of Windows 8 the other day and, in that respect, they've certainly taken a step in the right direction. There are only going to be two main versions: Windows 8 and Windows 8 Pro and they might as well be called Home and Office as that's what they are. The Pro version adds drive encryption, group policies and remote desktop stuff and that's pretty much that. There's a version of 8 for ARM processors called Windows RT which will be for certain tablets and netbooks. And there's also Windows 8 Enterprise which is for volume licensing only and has one or two extra features like "advanced security, virtualisation, new mobility scenarios and much more" whatever that means. So pretty much everyone will be running the same version of Windows 8. Pro and Enterprise are pretty much only for corporations and RT is for specific hardware. One feature I'm delighted to see in every version of Windows 8 is the ability to switch between interface languages. Microsoft bang on about how "excited" they are to offer this feature, but it's something they should have done over ten years ago. 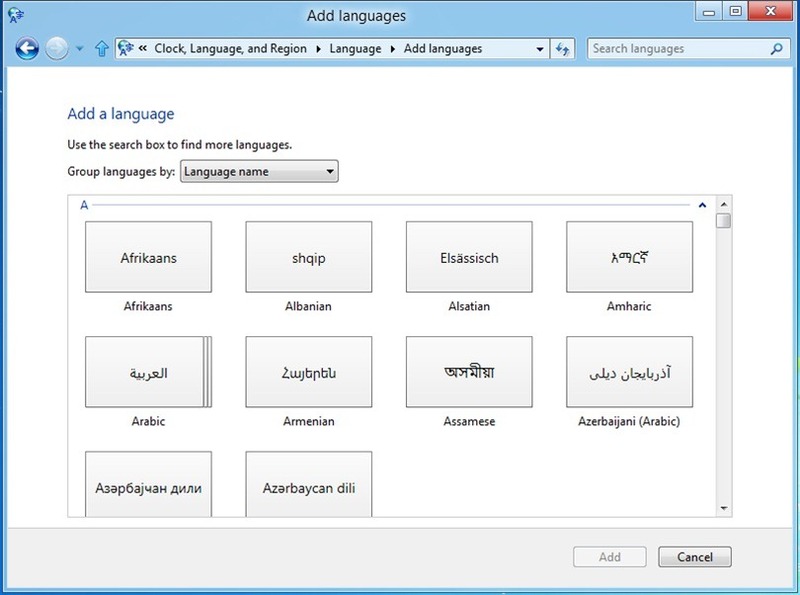 I know quite a few people who would like to have their PC be able to use multiple languages and I've experienced frustration with this myself. This has been possible since Windows 2000, but required a specific version of Windows (usually Enterprise) and perhaps only offered languages from one region so hasn't been useful or even accessible to most users. That all versions of Windows 8 will be able to change interface and input language is a welcome relief. A more unusual decision is that to drop Windows Media Center. It will instead be available as "an economical media pack add-on" which sounds awfully like DLC to me. Apparently there's a whole host of license fees for stuff in Media Center that Microsoft has to pay for and hardly anyone uses it (only 6% of Windows 7 users have run Media Center and only 25% use it for more than 10 minutes at a time). Windows RT for ARM processors is quite interesting in that it comes with Microsoft Office - well sort of. It sports ARM customised versions of Word, Excel, PowerPoint and OneNote (dreadful multi-user notepad thing that you've never used) but lacks Outlook and Access.